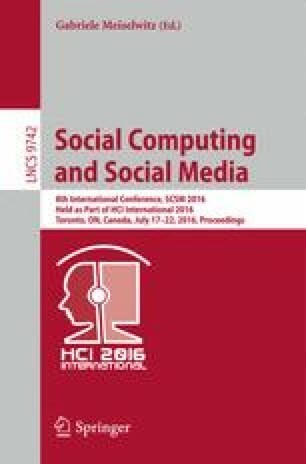 Emotion is considered a critical component in human computer interaction and intelligent interfaces. However, the social context in which the emotion is manifested is rarely taken into account. In this paper, we present a set of two empirical studies, taking a social network perspective to examine the contextual effect on emotional expression. In study 1, we conducted a scenario-based experiment to examine people’s intention to express in social networks with different structural properties. Study 2 investigated the actual expression on Facebook, and the roles of social network structure and personality traits play in the process. Altogether, it is found that an individual’s tendency for expressing positive emotions and negative emotions is affected by the size and density of the social network he/she belongs to, and the effects vary with individual personality traits. Drawing on these findings, we propose to add the role of social context into existing emotion models, the context profile can be defined by each individual’s social network structure. For different personality traits, the weightage of social context on the outcome expression will be adjusted accordingly. Implications on human-centered design are discussed. This research is supported, in part, by the National Research Foundation Singapore under its Interactive Digital Media (IDM) Strategic Research Programme; and the Lee Kuan Yew Post-Doctoral Fellowship Grant.